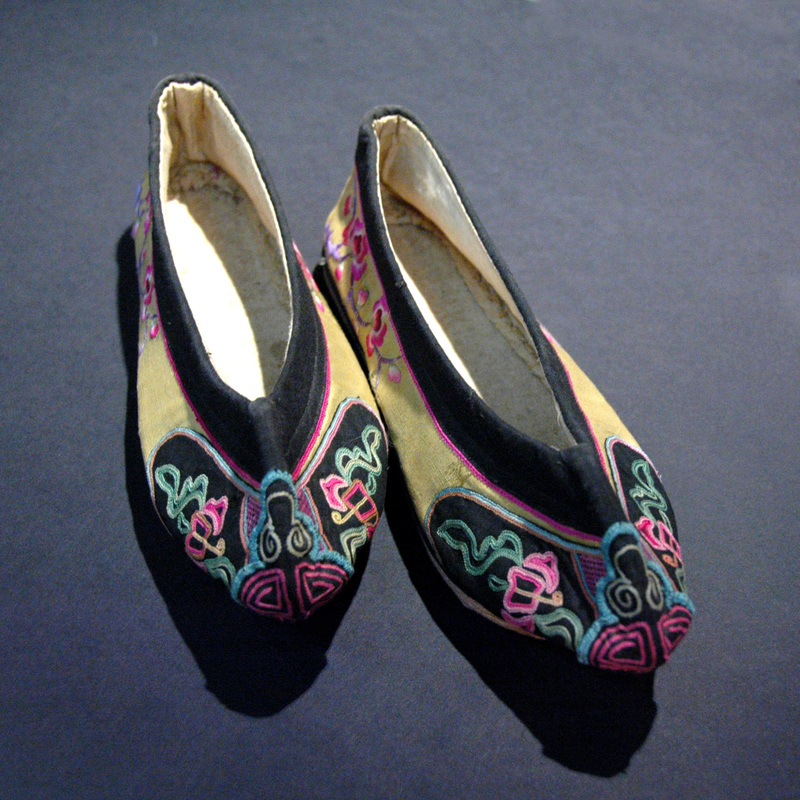 This is a pair of Miao Zu minority tribe embroidery shoes. The Miao has their own individual language but not an individual text; their history is passed down the generations by word of mouth in form of songs or as a design on their costumes (by embroidery, accessories, folding, stitching, etc). For example, Butterfly = ancestors, mother. As fashion is their form of literature, it goes hand in hand that they have superb embroidery skills. The skill would be passed down from mother to daughters. Traditionally, embroiled shoes are worn by single young ladies who would select different shoes for different suitors and occasions.